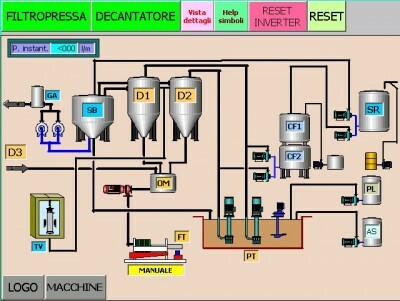 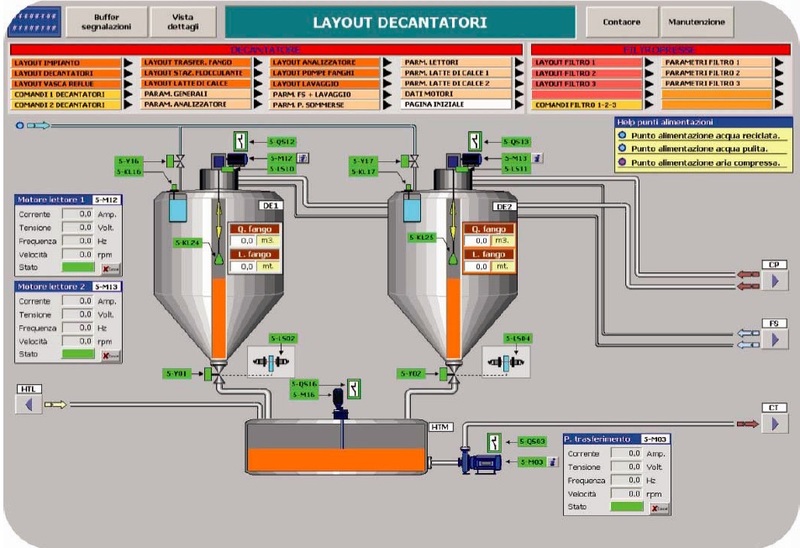 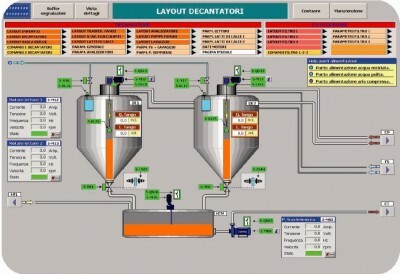 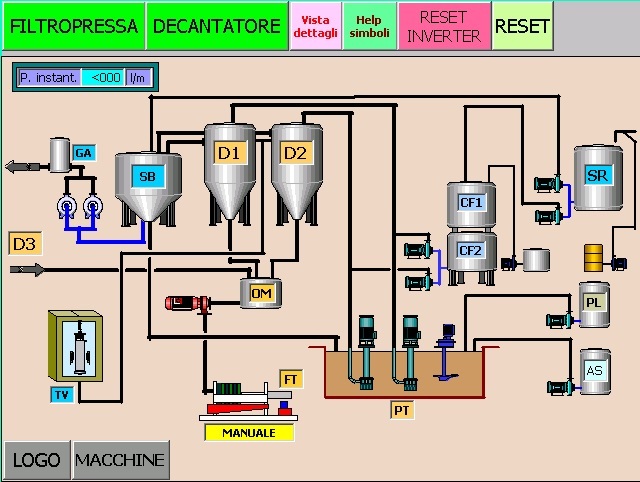 With the PLC, it is possible to control, see and change the working parameters of the plant. In the flocculant station a solution of water and flocculant is prepared, and is subsequently injected into the pipe feeding the decanter. 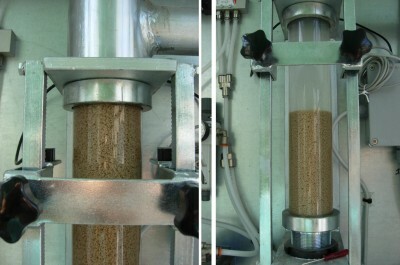 The flocculant acts on the solid particles increasing their settling speed. 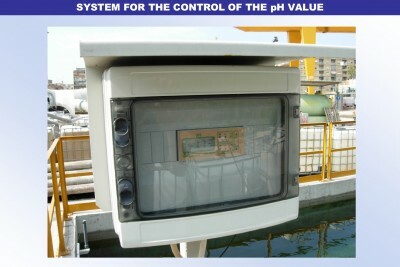 The plants can be equipped with a device for the automatic control and dosage of the flocculant which detects and controls the presence of mud in the water through the examination of a sample of decanting water. This solution allow average flocculant reduce 25% giving fast payback time. 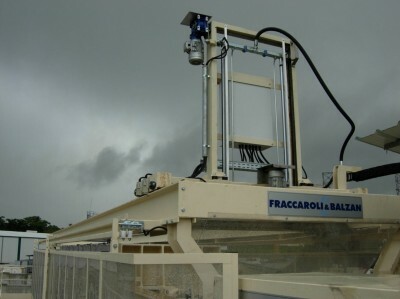 Fraccaroli e Balzan S.p.A. offices through modem connection. 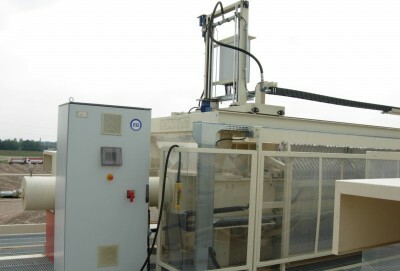 A sliding trolley positions the device for the automatic programmed washing of the filter screens in the spaces between two adjacent plates. The screens are washed one by one by a high pressure water jet. 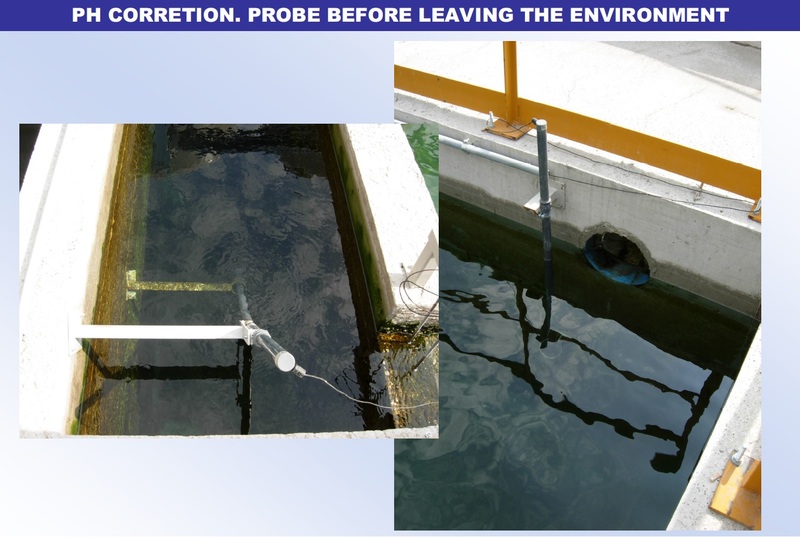 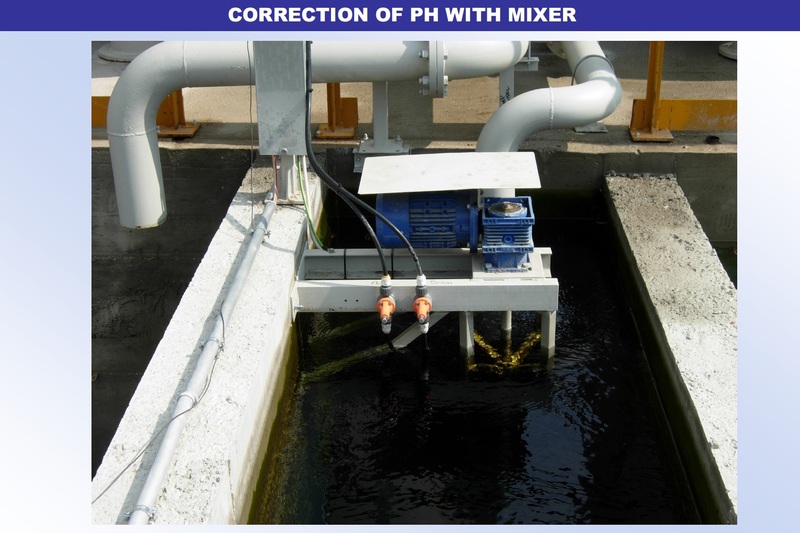 Depending of process needs pH value is corrected before filtering or waste water disposal. 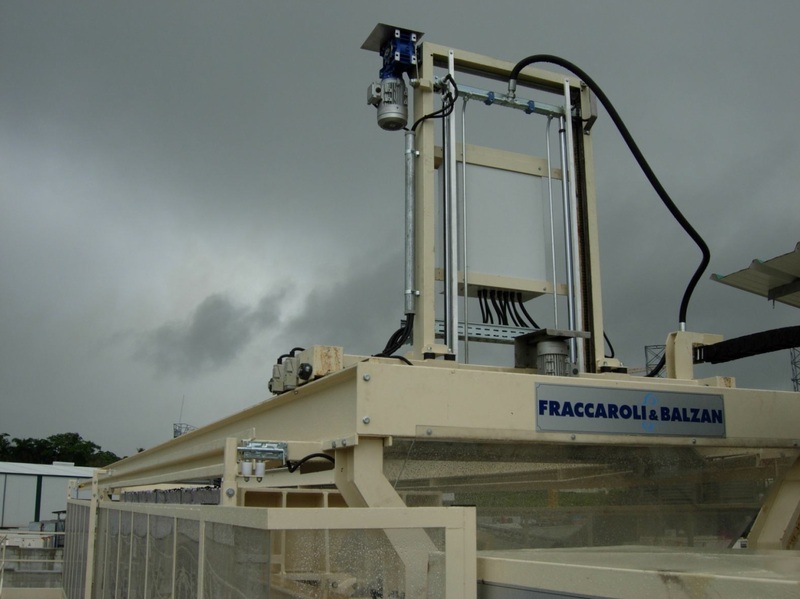 Fraccaroli & Balzan is first filterpress manufacturer to use robotic solutions. 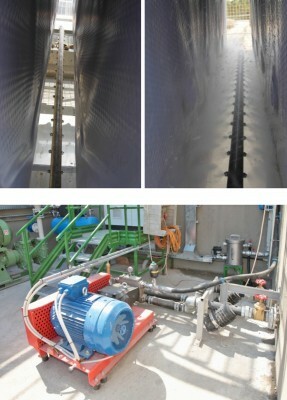 Robot open-close plates, shake plates and wash plates. 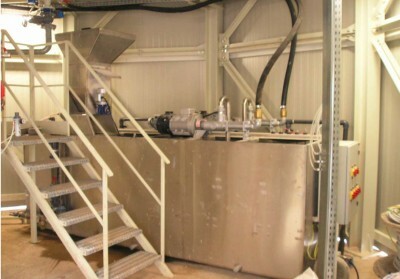 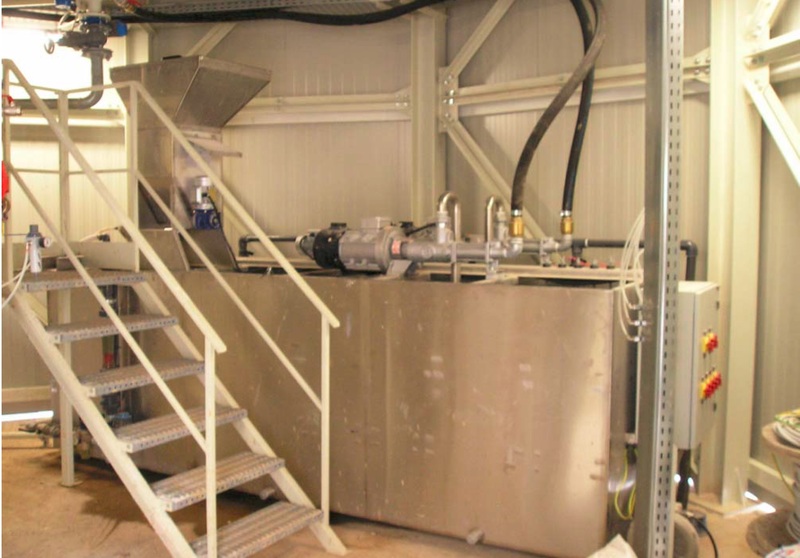 This solution save a lot time in filterpress operation giving possibility to reduce filterpress overall dimension giving considerable saving to projects.